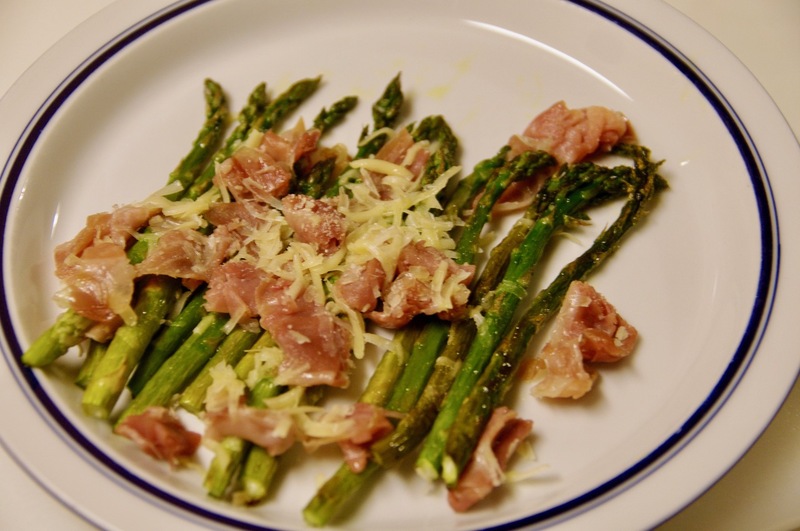 Spring asparagus is even better with prosciutto and Parmesan. 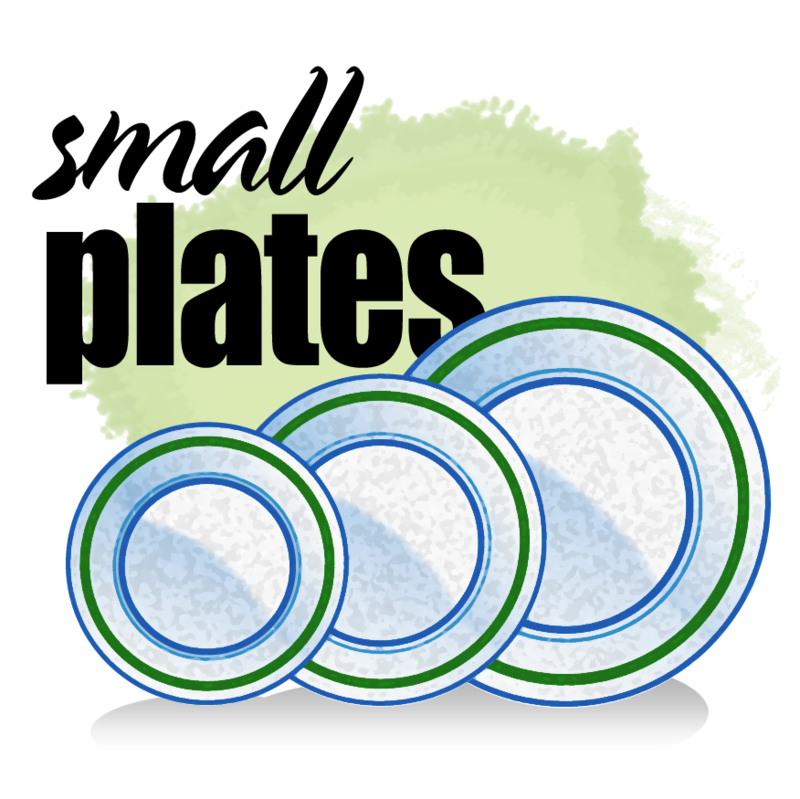 It was true, and in my last Small Plates entry, I recounted some of the meals my pals were putting together. Two people asked what I was serving that weekday night, and because I was feeling lazy — wasting time on Facebook, no less — I decided on an omelet with red peppers and mushrooms, plus asparagus with prosciutto and Parmesan. I had all that on hand and didn’t want to make a trip to the store. I did say I was feeling lazy. 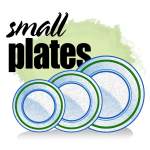 Drizzle your best olive oil all over a cookie sheet with half-inch sides. Place washed and trimmed asparagus on the sheet, and roll them around to coat with the olive oil. Stick them under the broiler for a few minutes, and roll them over once or twice until they are lightly toasted. Chop up the prosciutto and sprinkle the Parmesan on the stalks. Let the cheese melt and transfer to a serving dish.